Bangalore, Karnataka – AppYogi Software, an India-based Indi app developer, is proud to announce the official launch of Zippr which is Pre-Ordered 11,000 on the Mac App Store. 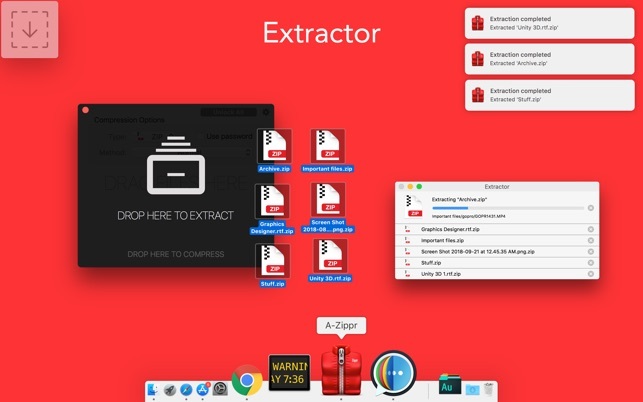 A-Zippr is a simple, fast and powerful Mac utility that allows users to archive Zip, RAR, 7z, SIT, TAR, IOS, ZX, LZIP, Gzip, BZIP2 and unarchives in 70+ different commonly used file formats. It is handcrafted to make it most customizable to archive and unarchive files on macOS. AppYogi, derived from upyogi, meaning ‘useful’ in Hindi. We handcraft apps that are useful and help you do small things more efficiently, making you more productive. If you like our apps feel free to drop a word of praise, who doesn’t like a bit of flattery. All Material and Software (C) Copyright 2019 AppYogi Software. All Rights Reserved. Apple, the Apple logo, iPhone, iPod and iPad are registered trademarks of Apple Inc. in the U.S. and/or other countries. Other trademarks and registered trademarks may be the property of their respective owners.